“Registration season.” Do those words alone stress you out? If so, you might need a little help. That’s why we compiled our top three tips for streamlining your registration season. Without further ado, let’s get started. For some people, procrastination might as well be their middle name. So when you set a deadline, you can be sure somebody’s going to miss it. That’s why it’s best to set deadlines early. Way early. If the absolute last day you can receive those registration forms is the end of the month, set the deadline a week before then. That way, even the stragglers will have their forms ready when you need them. Since you’re probably volunteering your time for registration, you might be reluctant to ask other folks to do the same. But the good news is, people really do want to help. All you need to do is ask. Let everyone know what you’re working on and how they can get involved. Maybe you need someone to collect email addresses, or you’d like help finding club or league management software for the coming year. Whatever you need, you’ll be surprised at how many people offer to back you up. Paper’s great for origami, but when it comes to registration, it’s kind of a hassle. If you’ve ever lost an important form or made five check-depositing trips to the bank in one day, you know what we mean. Do yourself a favor and try paperless registration. 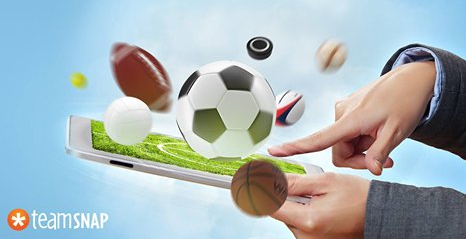 With TeamSnap for Clubs & Leagues, for example, parents and players can fill out forms entirely online. Need copies of important documents, such as health waivers? Registrants can attach them to their online forms in seconds. No need to worry about loose checks anymore, either. Everyone in your club or league can pay fees entirely online, either in one chunk or in installment payments. Registration season can be stressful. We hope these tips make yours a little easier. If you’d like to learn more about how TeamSnap can streamline your registration, learn more from our club and league experts today. Good luck, and don’t get stressed!